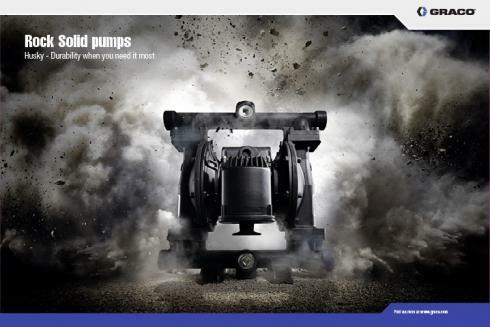 To help Graco promote their Husky air-operated double diaphragm (AODD) pump range Centigrade developed a high impact visual to carry the message. The pumps are used in a variety of highly demanding environments across many applications. 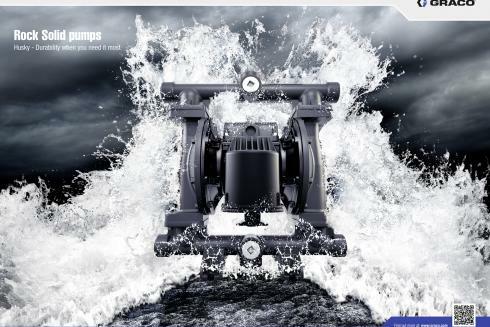 The new key visuals combine CGI and studio photography to capture the rock-solid characteristics of the heavy duty pump which features in on and offline campaigns.